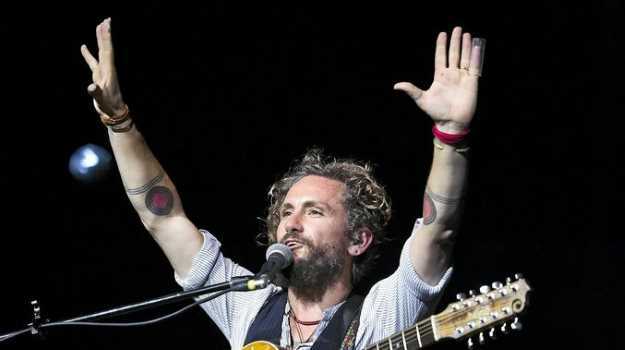 HOME is the name of the upcoming album by former Northern Rivers resident, singer songwriter John Butler. 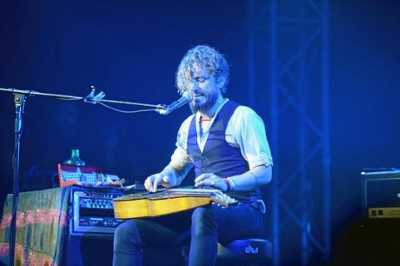 BIRTHDAY GIFT: John Butler celebrated his 43rd birthday on stage at Bluesfest on Sunday. The artist celebrated his 43rd birthday on stage at Bluesfest on Sunday, and spoke to The Northern Star prior to the show about the upcoming album, due out mid-year. Butler hinted to the fact the songs went in a different direction to what was planned in this release. "I am just the employee of the song," he said. "It may seem like us artists are in charge, but I don't think we are. I'm not in charge, I just try to keep the song happy and sometimes the songs are very demanding and a little bit all over the joint and neurotic. "The songs this time wanted to be a mix of electronic bits, live bits, folk songs and experiential psychedelic sounds. I can't explain it, I'm just trying to keep the song happy. "I think I've done it. You know the song is happy when it doesn't niggle in your brain." The Bluesfest show was a trip down memory lane for fans and the artist himself. "I started to come here in 2000, so my relationship with the festival is one of legitimate adults," he said. "For me, (playing at Bluesfest) was like a dream. 'If one day I could play Bluesfest', I used to think. "When I got the gig in 2000 I was pretty stoked, and to tell you the honest truth, and I hope this doesn't sound shallow or insincere, but it feels the same way every time. "Every year is a heavy line-up, so to have any relevance amongst that and having people wanting to see you in that kind of environment is brilliant. It's a dream come true." The artist, who has dedicated his life to environmental activism, said he did not grow up wanting to be a musician. "Most of the musicians on stage here grew up wanting to become a musician, but I didn't. I discovered it when I was 21 and then made a deal with my new destiny, although it felt really self indulgent," he said. "I had a lot of friends who were activists and were doing what I consider real work (laughs), and I thought I will contribute to the planet by doing this." 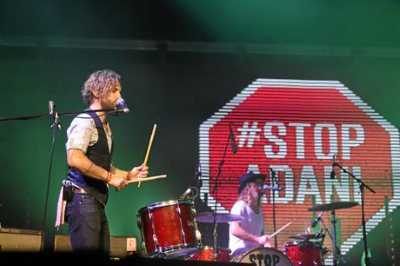 That evening, Butler welcomed musicians Michael Franti, Mia Dyson, Ziggy Alberts, William Crighton, Leesa Jentz and Jules Parker (Hussy Hicks), Tay Oskee, Steve Smyth, Lukas Nelson, Sarah Howells and Emma Bosworth to display a banner reading "Coral Not Coal" with the Stop Adani symbol.